Thanks to the generosity of our wonderful community, we have been able to help hundreds of moms in need. These are just a few of the children and moms whose lives were touched by the kindness of strangers. Comments from REAL MOMS on our Group! * Group is encouraging to see what a difference a few can make. Out of their own resources trying to improve the lives of those in need our community. * I absolutely love it! Its amazing to see people that are still good hearted! Its great that we are all so willing to help each other!! * I think it is a great thing. This group helps so many families. * I have given items that I could've sold since we desperately need the money ourselves, but I know there are other families out there that are struggling through financial hardships as well. it's a full circle, it will come back. Our community of mothers is what makes this group thrive and our admins make it all possible. We should all be grateful for their commitment to our community! * This is a wonderful group. They are here for our community in every aspect of life. If you are in dire need, they will help you as soon as they can. This is an awesome group to be a part of. We all pitch in, in any way we can and even if it is a little, it is still something to someone! * Amazing, wish there were more people like this, who realize that sometimes parents can't afford something no matter how necessary it is. * yes, shoes and work pants for myself and clothes for all 4 of my kids. 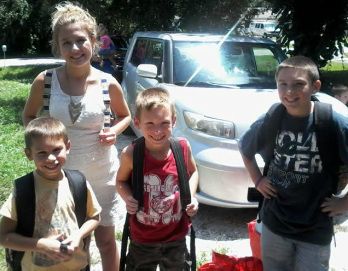 are all ready for school now with their brand new backpacks and school supplies!! Is all ready for his first day of school! ​we hosted a small baby shower! 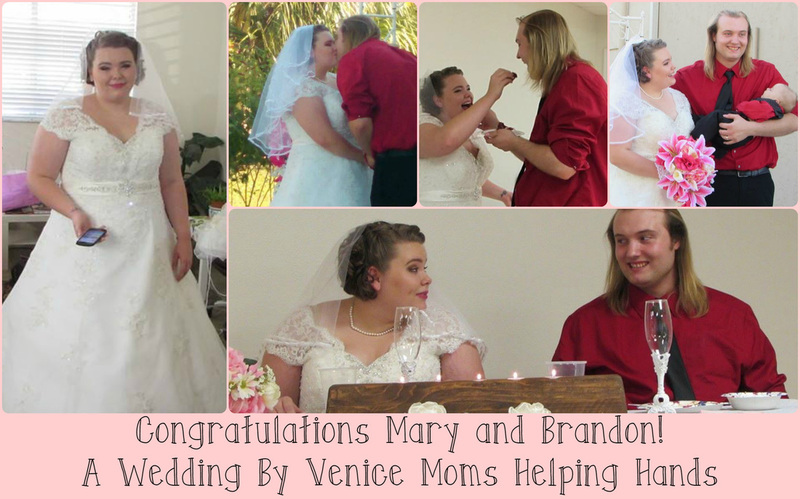 Mary was another mom in our group who due to unforseen circumstances had to cancel all her wedding plans. In 3 days and with the help of the community, we put together a wonderful wedding celebration for her and her husband!